For more information on this topic, see Parks and Recreation Timeline, City Parks, and Community Center. 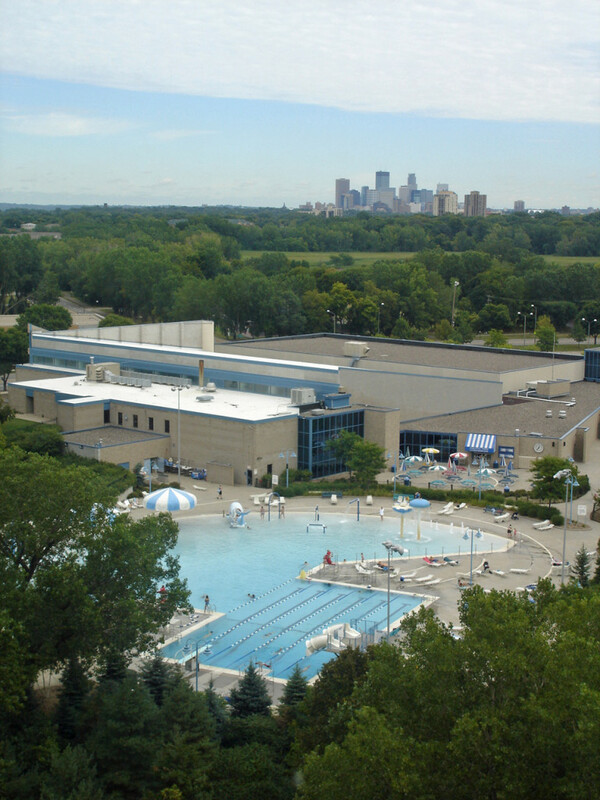 In the 1950s, outdoor recreation in the Park consisted of many neighborhood parks, a swimming hole called Johnson Lake, and the St. Louis Park Community Center. After years of trying to make these resources adequate to serve the burgeoning population, it became clear that another solution was necessary. 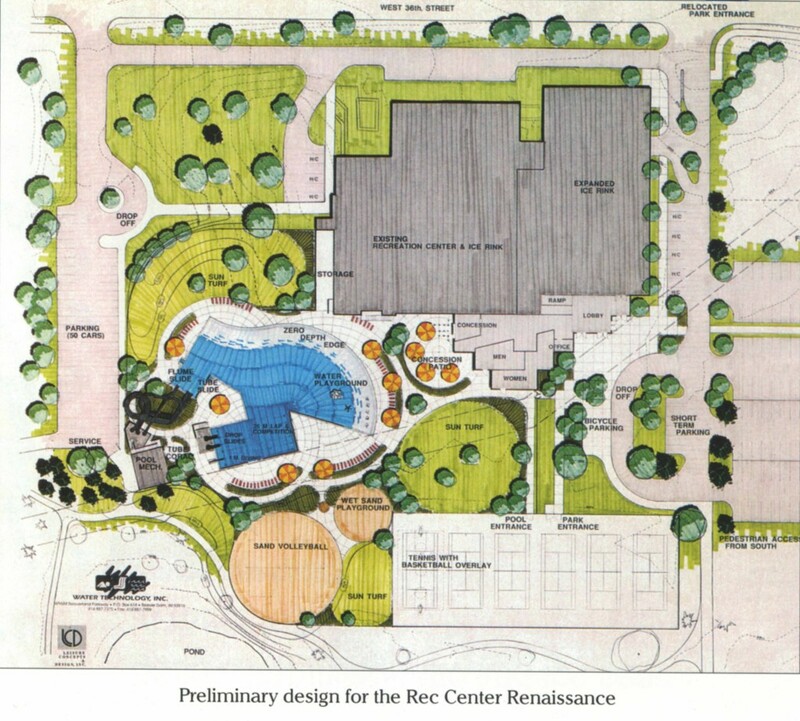 Here’s the story of how the Rec Center came to be. 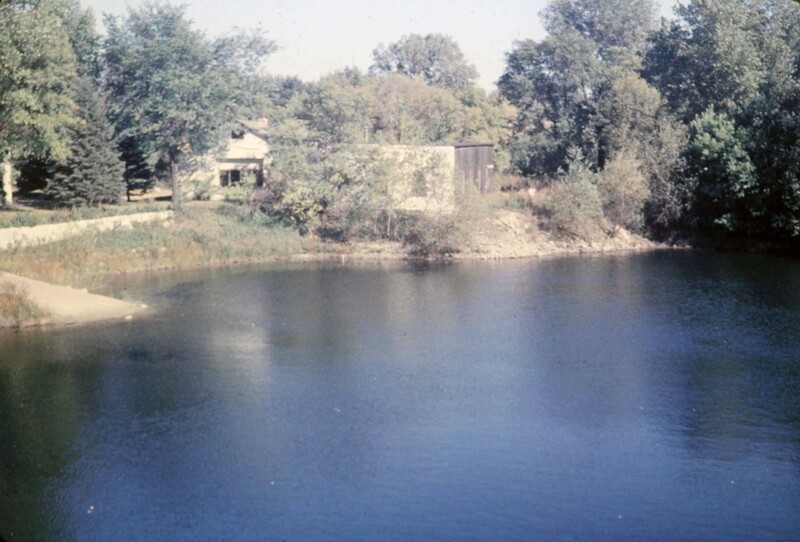 Johnson’s Lake was the result of rock and gravel mining done by the Glen Johnson Contracting Co. The address of the business was given as 3724 Quentin Ave., between Excelsior Blvd. and 38th Street. Other names for it were “Glen’s,” “The Glen,” and “Johnson Lake,” depending on the era. The lake was 80-90 ft. deep and full of minnows and stolen cars (well, for sure minnows). 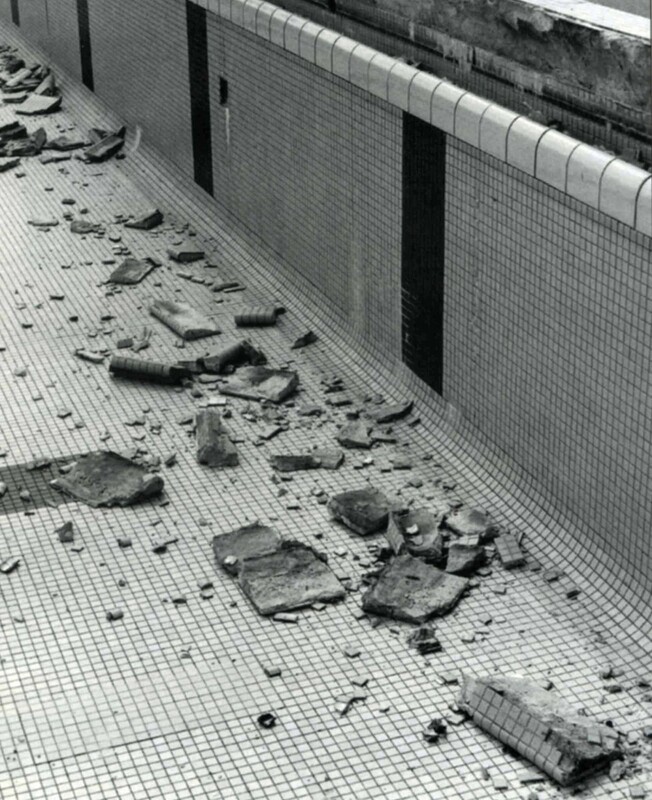 All manner of activities took place here, not the least of which was illegal swimming. It was the place to be if you wanted to hang out, drink beer, and smoke cigarettes. In 1959 a burned out building stood on the property in defiance of the Council’s edict that it be destroyed. By that time the property had already been condemned by the City to be taken for a recreation area. It was hoped that the lake could be improved as a swimming beach. Corwine and Doell did specs for Johnson Lake improvement. In January 1961 the suggestion was made to eliminate all City wading pools, in order to develop Johnson Lake into a swimming beach. The Mayor urged some action on the Johnson Swimming Hole area. 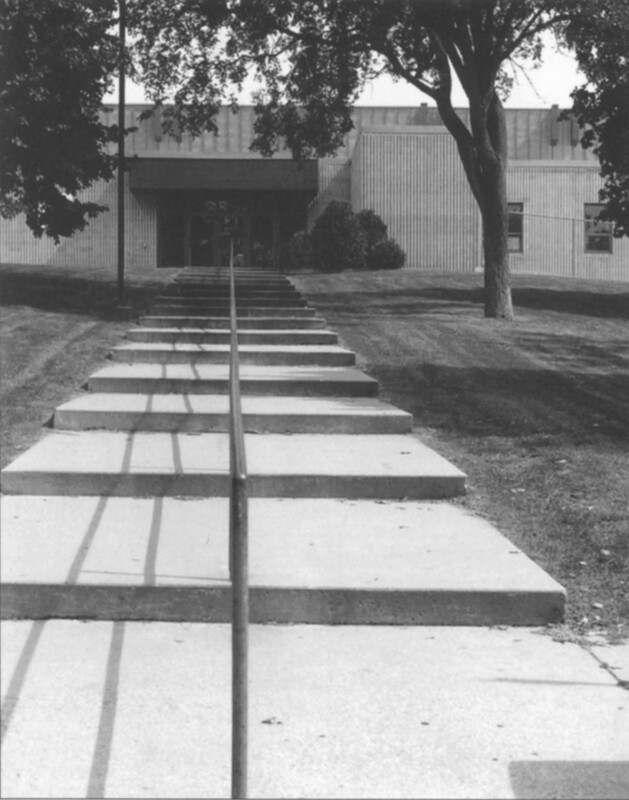 Discussions about a new recreation center began in 1963, just a few years after the Community Center on Lake Street was enlarged. Work was done on Johnson Lake in 1964 to reshape the lakebed and create a sandy beach. But tests by the State Health Department showed unhealthy levels of bacteria and the City was advised to develop a pool instead. The kibosh on Johnson Lake for swimming put the plans for the Rec Center into high gear. Mayor Ken Wolfe appointed a 10-member committee to study the need for a recreation center. The commission came back in 1965 with a recommendation that the Park build a $550,000 center with an indoor-outdoor pool but no hockey rink. It recommended a 20,000 sq.ft. building for meeting rooms, etc. The commission found the suggestion to link forces with the YWCA or Jewish Community Center infeasible, but did recommend coordinating with the pool facilities at Westwood Jr. High. Meanwhile, Johnson Lake was renamed Wolfe Lake in 1965, after Mayor Kenneth Wolfe. After nearly considering a site at Aquila Park, the Wolfe Lake site was approved by the City Council in September 1968. 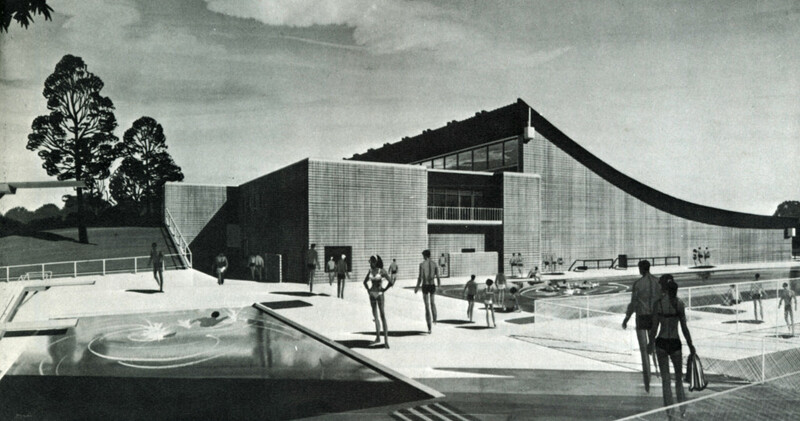 On June 3, 1969, Park held a referendum for the construction of the Rec Center, as designed by architect Carl Graffunder and Associates at a cost of just over $2 million. It was turned down by a 2-1 margin – speculation is that senior citizens voted against it in droves. 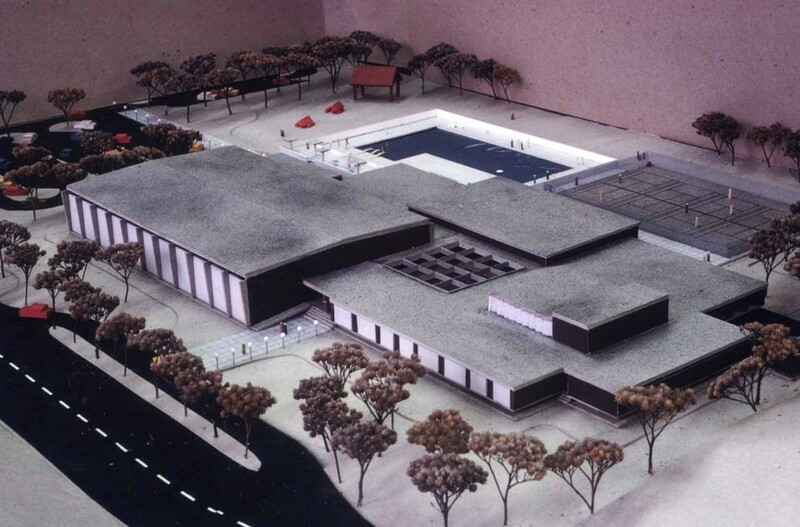 In a controversial move, in March 1970, without voter approval, the Council voted to spend $1.7 million for the Rec Center and hired the firm Smiley and Associates to come up with a new design. Gone were some of the frills, like a community theater, handball courts, kitchen, etc. General construction was by Mikkelson Construction Co. of Minneapolis. The area between Raleigh and Natchez south of 36th Street to Excelsior Blvd. had originally been platted as Westmoreland Park in 1911. The City bought up lots throughout the 1950s and ’60s, some for $100, some for maybe $500. Westmoreland Park was platted for a residential community, with the streets Westmoreland Ave., Quincy, and Ottawa drawn in, if not actually built. Before the Rec Center, the site was the Acme Field baseball diamond, sponsored by Acme Stone and Lumber. Also on the property, Holt’s nursery requested permission from the City to use the property for a woodlot and storage in exchange for landscaping. In order to assemble the required pieces of land, the city had to buy several homes. 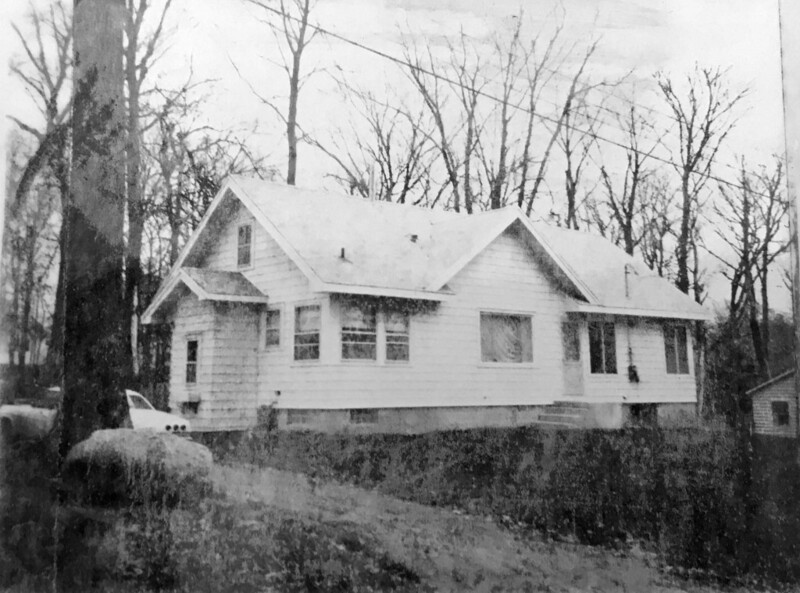 The house pictured below, which was built in 1920, was moved to Mound in June 1970. It had had the address 5005 W. 36th Street, which was the original address of the Rec Center. 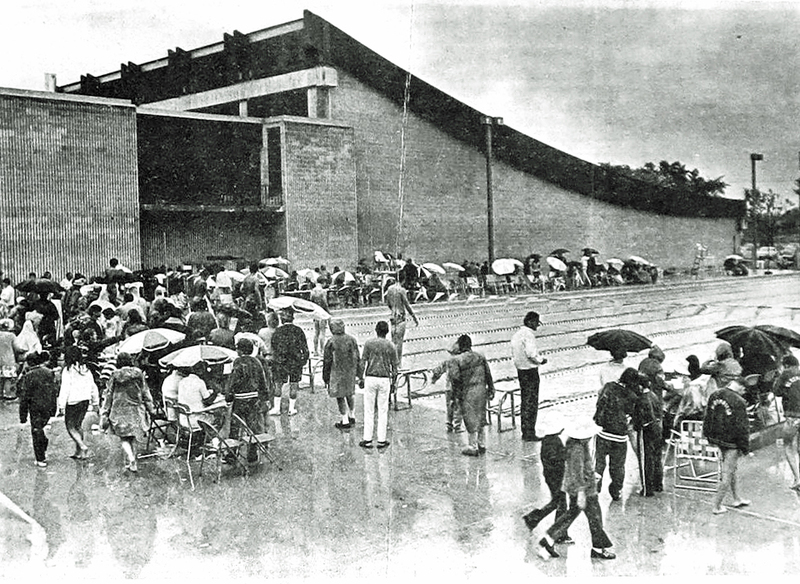 The Rec Center opened for its first summer on July 14, 1971, slightly delayed by a strike of concrete truck drivers and cloudy weather. An estimated 1,200 attended on opening day. There were three pools; one was 50 meters long with 8 lanes. There was also a 12 ft. diving well with two boards, 1 meter and 3 meters. There was also a separate wading pool. The complex covered 40,418 square feet. The hockey arena had a seating capacity of 2,000. The director was Ken Vraa. The Rec Center was dedicated at a hockey game on December 16, 1971. Its first address was 5005 W. 36th Street, later changed to 3700 Monterey Drive. The Rec Center ice rinks were dedicated at a hockey game on December 16, 1971. A total overhaul of the Rec Center was carried out in 1997-98. Improvements included a new ice arena, banquet room, team rooms, galley, concessions area, caterer’s kitchen, parks and rec offices, and a garage for the zamboni. Also new in 1997 was the aquatic park (4 story body slide and tube ride). 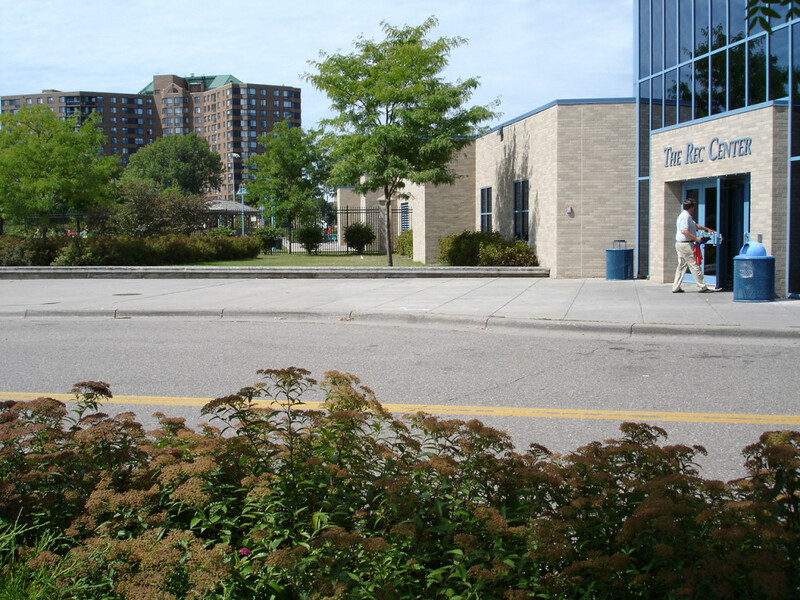 More staff offices were added in 2002 and a skate park was put in in 2003. Rec Center, 2004. Photos above and below by Bob Jorvig.